The concept of finding office space for rent in New Jersey seems simple, find a space and rent it. Oh but there’s more to it! The rental market is tricky, there are a lot of factors at play that you may not realize. 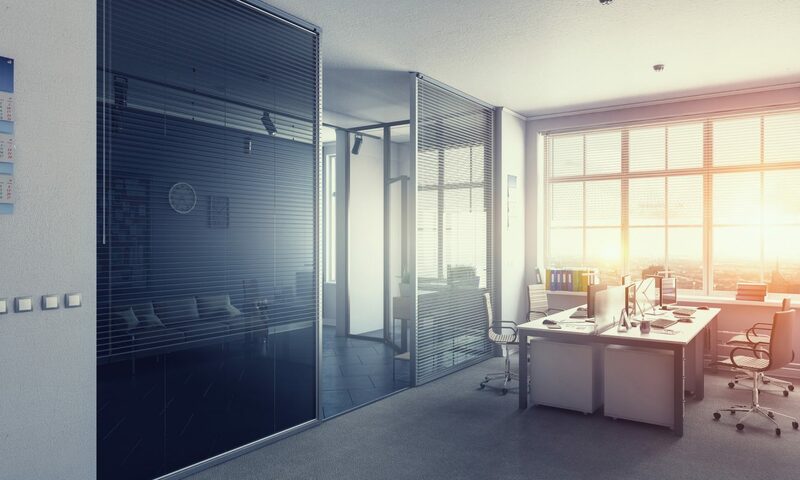 Before you go packing boxes and planning your big move, let’s make sure you know what you’re getting yourself into when hunting office space for rent in New Jersey. The major factor to consider when looking for office space for rent in New Jersey is location. It’s more than just finding a street you love with a good view. You need to look at the traffic flow too. A quiet location may be great for your peace of mind but it won’t help pay the bills. You need to make sure that your customers can find you easily. For a service, people may be more willing to look a bit longer to find you, but if you’re selling a product, no way. The customer needs to know exactly where you are, and it needs to be as front and center to where they travel as possible. Once you’ve found office space for rent in New Jersey that you like, take some time and look at the flow of traffic throughout the course of the day. When is it the busiest, when is it dead? This will not only tell you if the location is right for your type of business, but it may also help you decide the best hours to be open. Let’s say you own a restaurant. Fantastic! You’ve found a spot you love by the water and you envision patio lunches for your guest. Except when lunchtime hits, this dream area is dead! Why? Well, it turns out that in this location, lunchtime isn’t just for people, birds love it too. They can’t help but flock to an area right near your dream patio making it an un-desirable dining spot for your potential guests. This isn’t something you would have known without thoroughly checking out the location first. All that money you would have invested into a patio would have been wasted. If at all possible, visit the site when the weather is bad. This may sound crazy but you’re going to want to know if the space in front of your dream rental area floods. It’s vital that you know if the plow trucks decided that in front of your business is the perfect location for dumping a mountain of snow. Another factor you shouldn’t ignore is cost. The basic idea is to find a place that you can afford as easily as possible. As you daydream about how wonderfully successful your business is going to be, it’s easy to let Caviar dreams cloud the reality of your actual budget. Don’t get in over your head! You shouldn’t be already trying to figure out what things you can cut back on or raise your prices to in order to afford the place you’re looking at. That’s a recipe for disaster. Figure out what you can comfortably afford given the success of your current business income, not what you can afford if absolutely all your entrepreneurial dreams come true. You may be optimistic, but you should consider that you won’t get your dream location right away. Don’t lose heart. Did you know that Amazon, Apple, and Google all started in a garage? Yep, the started with what they could afford, and by the looks of things, it didn’t stop them from being very successful. Speaking of growth – find a spot that allows you to grow. I know it’s sounding a bit contradictory…a prime spot, that you can afford and grow into? Find a place that has just a bit more space than what you currently need and that is the right atmosphere that allows you to focus. Why did those wildly successful companies chose the garage and not the kitchen table as their office space? They needed a place that was removed from the chaos of the rest of their lives. Now that we have all that covered, let’s look at two other areas you may not have considered: contracts and safety. Contracts are not something to be taken lightly. This isn’t something you should glance at casually over at the pub over some drinks. You need to stay alert and make sure you know exactly what you’re getting into. Make sure you read the fine print! Often times contracts are written with terms that are foreign to most of us. Don’t go trying to save yourself some money here and play lawyer. A good lawyer to help you make sense of all the legal terms and red tape will be well worth it. You don’t need to lose sleep over wondering if you interpreted it all correctly by yourself. The landlord will probably try and gloss over the terms with you, don’t just take their word on what it all means. While they may not be trying to trick you, don’t take any chances. Make sure you look for things like when the rent is due, what the price is and if it includes any utilities. This will help you to make sure that you can afford it and may even save you money. Speaking of rental amounts, check and see if the price ever increases and what the terms of renewal are. If you’re hoping to stay there for a long time, you’ll want to know ahead of time if the coming years are going to cost you more. Some contracts can have an automatic renewal policy. This means that unless you give notice in accordance to the terms of the contract, you’re automatically obligated to stay for another term (usually a year). This could be a problem if you need (or want) to leave at the end of your lease but suddenly you can’t. If there are areas of the contract you don’t like, see if they’ll amend them. It never hurts to ask. After all, they want a paying tenant and you need a place, why not see if you can work together? Make sure you get every amendment to the contract in writing and it states exactly what you’re agreeing to plainly. Don’t just assume that you’ll both understand the new terms as clearly six months from now as you do currently. Having a strictly verbal agreement won’t do you any favors if you end up in court and have to prove yourself. If they won’t work with you on the terms, you may want to reconsider renting there. The choice is ultimately up to you, but if you can’t agree on things now, it may be an indicator of trouble down the road in terms of communication. Often times people forget about safety when they’re looking at a place. It’s only natural to be excited and be busy envisioning the layout for your dream office. But in these cases, we tend to miss or overlook the problem areas with the rental space. One thing you really need to keep at the forefront of your mind, though, is the safety of the building and location. You need to take into considerating your safety and those of your customers. Never sacrifice safety for a lower rent cost. Remember that as a business owner, you’ll likely be working late and unpredictable hours. Will you be comfortable in your office alone? What are the crime statistics in the area? On one hand, just because an area has had a bad reputation for crime in the past doesn’t mean that it hasn’t gotten better. On the other hand, some industrial or office areas have a bad reputation for a reason. Or, even if the crime rates have gotten better, if the general public maintains a poor opinion of the area, will they still travel to your office? Do your homework and check it out with the local police station. Ask the neighboring offices about their experience and comfort level. Do some marketing research with the public to find out their opinion on various locations and where they might or might not be willing to shop. This leads us right back to looking at locations. Keep safety in mind during your search. Consider also the safety of your customers. Is the parking area well-lit? Is there a safe way for customers to get to and from your space? Make sure that you and your customers can get in and out of parking during bad weather, too. The safer you and your customers feel in your location, the better it is business. An amazing business won’t amount to much if people are afraid to come to see you. It’s also important that your business is safe when you aren’t there. Make sure you ask about alarms, door attendants, locks, and passcodes…whatever applies to your choice of location. This safety precautions, or lack of them, could likely influence the cost of your insurance coverage too. Before you sign the lease, give your current or future insurance agent a call. Give them the details and see what they have to say. Hopefully, you find that the security measures in place save you money, but if they don’t, you’re going to want to know that beforehand. Remember we talked earlier about your budget? Factor insurance in as if it was part of the rent and make sure you can still afford it. All of this may be overwhelming right now but with careful planning and street-smart thinking will save you untold amounts of stress later. In the end, you’ll have a place that is truly perfect for you in all aspects. Now you can focus on your business with confidence that you did your homework.